St. Scholastica was the twin sister of St. Benedict, the Patriarch of Western monasticism. She was born in Umbria, Italy, about 480. 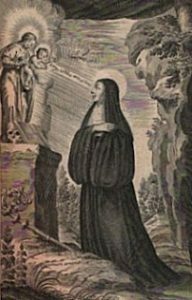 Under Benedict’s direction, Scholastica founded a community of nuns near the great Benedictine monastery Monte Cassino. We are told that Scholastica “could be sated or wearied with the words of grace which flowed from St. Benedict’s lips.” Inspired by Benedict’s teaching, his sister devoted her whole life to seeking and serving God. St. Scholastica died in the peace of Christ in the year 547. 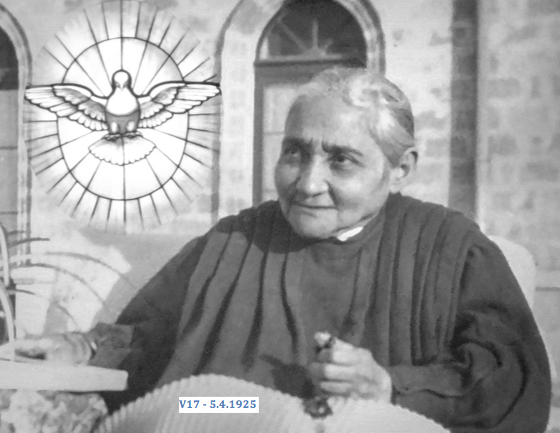 Tradition holds that at her death her soul ascended to heaven in the form of a dove. You love justice and hate wickedness; therefore God, your God, has anointed you with the oil of gladness above your fellows. My heart overflows with a goodly theme; as I sing my ode to the King. O God, you brought the soul of the blessed virgin Scholastica to heaven in the form of a dove in order to bring to our notice her life of innocence. Through the prayers and merits of Your saint may we live such a life that we too may attain everlasting happiness. Through Our Lord . . . Brethren: He who boasts, let him boast in the Lord. For he is not approved who commends himself, but he whom the Lord commends. Would to God that you could bear with a little of my foolishness! Nay, do bear with me! For I am jealous for you with a divine jealousy. For I betrothed you to one spouse, that I might present you a chaste virgin to Christ. Hear, O daughter, and see; turn your ear; for the King shall desire your beauty. V. All the rich among the people seek Your favor; the daughters of kings come to meet You. V. Behind her the virgins of her train are brought to the King; they are borne in to You. V. They are brought with gladness and joy; they enter the palace of the King. At that time, Jesus spoke this parable to His disciples: Then will the kingdom of heaven be like ten virgins who took their lamps and went forth to meet the bridegroom and the bride. Five of them were foolish and five wise. But the five foolish, when they took their lamps, took no oil with them, while the wise did take oil in their vessels with the lamps. Then as the bridegroom was long in coming, they all became drowsy and slept. And at midnight a cry arose, ‘Behold, the bridegroom is coming, go forth to meet him!’ Then all those virgins arose and trimmed their lamps. And the foolish said to the wise, ‘Give us some of your oil, for our lamps are going out.’ The wise answered, saying, ‘Lest there may not be enough for us and for you, go rather to those who sell it, and buy some for yourselves.’ Now while they were gone to buy it, the bridegroom came; and those who were ready went in with him to the marriage feast, and the door was shut. Finally there came also the other virgins, who said, ‘Sir, sir, open the door for us!’ But he answered and said, ‘Amen I say to you, I do not know you.’ Watch therefore, for you know neither the day nor the hour. May this sacrifice of Thy dedicated people be accepted by Thee, O Lord, in honor of Thy Saints: to whose merits we attribute the help afforded us in tribulation. Through our Lord . . .
Thou hast filled Thy household, O Lord, with holy gifts: do Thou cherish us always, through the intercession of her whose festival we are keeping. Through our Lord . . .
Luisa speaks about virginity and purity. After a long silence, this morning, interrupting it, my lovable Jesus said to me: “I am the receptacle of pure souls.” And in these words of His I received intellectual light that made me comprehend many things about purity, but I can repeat little or nothing with words, of what I feel in my intellect. However, most honorable lady obedience wants me to write something, be it even nonsense, and to make her content I will speak my nonsense about purity. It seemed to me that purity is the noblest gem that the soul can possess. 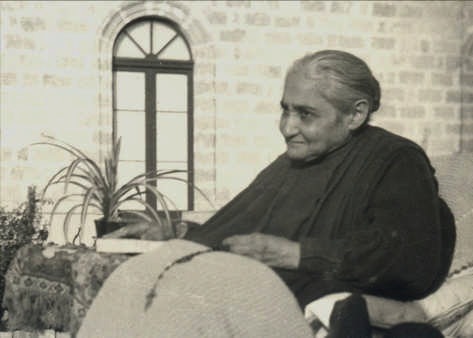 The soul who possesses purity is invested with candid light, in such a way that blessed God, in looking at her, finds His own image; He feels drawn to love her, so much so, that He reaches the point of becoming enamored with her, and He is taken by so much love that He gives her His most pure Heart as dwelling, because only that which is pure and perfectly clean enters into God; nothing stained can enter that most pure bosom. The soul who possesses purity retains within herself her original splendor that God gave her in creating her; nothing is disfigured or disennobled in her; rather, like a queen who aspires to her nuptials with the celestial King, she preserves her nobility until this noble flower is transplanted into the celestial gardens. Oh! how this virginal flower is fragrant of a distinct odor! It always rises above all other flowers, and even above the very Angels. How it stands out with varied beauty! So, all are taken by esteem and love, and give it free way, to let it reach up to its Divine Spouse, in such a way that the first place around Our Lord is of these noble flowers. And Our Lord greatly delights in strolling in the midst of these lilies that perfume the earth and Heaven; and He delights even more in being surrounded by these lilies because, He being the first noble lily and the model, He is the specimen of all the others. Oh! how beautiful it is to see a virgin soul! Her heart gives off no other breath but that of purity and of candor; it is not even shadowed by any other love which is not God; even her body gives off fragrance of purity. Everything is pure in her: pure in her steps, pure in operating, in speaking, in looking, and also in moving. So, at the mere sight of her one feels the fragrance and recognizes a soul who is truly virginal. What charisms, what graces, what mutual love and loving stratagems between this soul and her Spouse Jesus! Only one who experiences them can say something; and one cannot even narrate everything. Besides, I don’t feel entitled to speak about this, therefore I keep silent and I move on.